A new internet book sharing club is giving Amazon a real run for its money. The new siteallows nerds of all ages to swap reading material for no cost. With members in all 50 states, the site already offers a library of 800,000 books, and it’s growing with each new member. The concept at work is that each member registers a list of a few books that they’re willing to part with. Anyone can request a book from anyone else, and if you’re the one mailing, all you’ll have to pay is the cost of shipping. Of course, this does mean you end up paying to give a book away, but the system works out pretty fairly in the end. When it’s your turn to get a book, all you have to do is wait for it to be delivered to your front door. Kudos must be given for the all around ingenuity of this new site. It cuts back on wasted paper, offers a great way to find new titles, and allows anyone interested to get unlimited books for free. But be warned: the site is only for those willing to share. 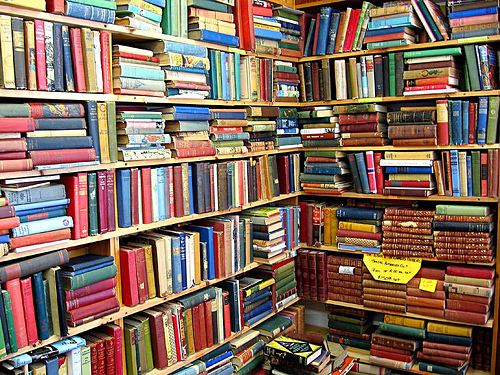 Book hoarders will have to stick with Amazon.